It has been 28 years this Tuesday since the golden voice of sports commentary on radio in Nigeria, Ernest Okonkwo, went beyond human touch. The voice can only be heard by those privileged to have made recordings while the legendary Ernest Okonkwo was alive. Information has it that even the Federal Radio Corporation of Nigeria (FRCN) where Okonkwo worked cannot lay hold on most of the graphic commentaries that Okonkwo ran while he was alive. 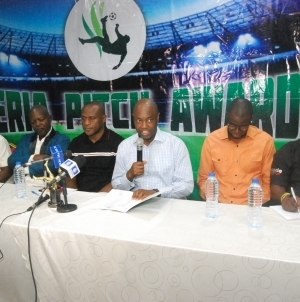 That is yet another indication of poor documentation that has been the bane of development in Nigerian sports and other spheres of Nigeria’s national life. To later generation of sports followers in Nigeria, the name of Okonkwo may ring no bell. But to the older ones, Ernest Okonkwo represented the best in the running of sports commentaries on radio. He was a master of descriptive language. Like Chief Segun Odegbami once remarked about the late sports commentator, Okonkwo was always conjuring words easily, effortlessly and aptly like a magician with his bag of tricks. In the 1970s through 1980s, despite the preponderance of world class musicians across the globe, I considered Ernest Okonkwo’s commentaries more melodious to listen to than the best of music. So obsessed was I to his radio commentaries that I often recorded them on tapes and played them back, in place of music, for my personal relaxation. There were lots for one to learn from his power of recall and tie-backs. An influential sports commentator, Ernest Okonkwo was a word­smith. His captivating football commen­taries were made of simple, but fluent English. 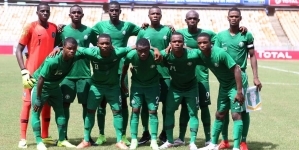 Expert at coining words and new expressions, football commentary listeners on Radio Nigeria will remember his nicknaming of footballers like Segun Odegbami as ‘Mathematical’, Adokiye Amiesimaka as ‘Chief Justice’, Yisa Sofoluwe as ‘Dean of Defence’, Sylvanus Okpala as ‘Quick Silver’ or other expres­sions like “Christian Chukwu taking an ‘Intercontinental Ballistic Missile’ type of “banana shot”. Such was the colour he added to football commentaries that spectators on football fields carried their radio sets glued to their ears even as they watched the matches. Television viewers often switched off the audio volume of their sets preferring Ernest Okonkwo’s graphic description of proceedings on radio. Often recalled is the rhythm of description of proceedings in a Rangers versus Raccah Rovers’ duel in the 1980s. Hear him: “He beats Christian Chukwu; he beats Christian Madu; he beats Christian Nwokocha…he beats three Christians in a row! Who is this man? Oh! It is Shefiu Mohammed sending a diagonal pass to Baba Otu Mohammed”. Recall his commentary of the proceedings of a Nigeria versus Tunisia World Cup qualifier in Lagos in 1985: “Okey Isima, with a short pass to Sylvanus Okpala. They both play in Portugal. They can communicate in Igbo; they can communicate in English; they can communicate in Portuguese and they just communicated with the ball”. 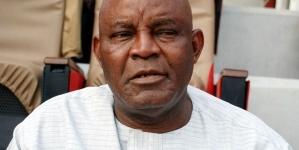 Such was the power of his description and coinage of expressions that former national team left winger, Adokiye Amiesimaka was quot­ed in a publication as calling for the naming of the media tribune of the Abuja National Stadium after Ernest Okonkwo. So much that one can easily conclude that the demise of Ernest Okonkwo on August 7, 1990 marked the death of apt sports radio commentary in Nigeria. It was the end of a journey he began in 1957 when he joined the then Nigerian Broadcasting Corporation (NBC) which he served for 33 years. Okonkwo joined what is today Federal Radio Corporation of Nigeria as programme assistant before being trained at Australian Broadcasting Commission between 1964 and 1965. The man from Nando in Anambra-East Local Government Area of Anambra State was later made the Head of outside Broadcasts at the corporation.